Welcome to the first stop aboard Magical Blogorail Blue. Enjoy the ride as we discuss some of our favorite Disney legends. Every Disney fan knows the name Walt Disney as the man behind Mickey Mouse, Disneyland, and Walt Disney World. He had passion and a vision to create something incredible for everyone to enjoy, and the persistence and drive to see it through. There was one other important talent that Walt Disney possessed. He had the ability to surround himself with talented people. These pioneers were the ones who worked in the trenches to bring Walt’s visions to life. They are the people behind the films and attractions we adore. Lisa and I couldn’t agree on which Disney Legend to feature here, so you’ll get a double dose. 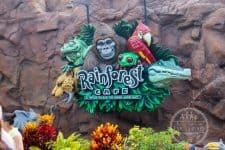 I’m sure most of you who have been to Walt Disney World will recognize their influence. Artist Mary Blair’s imprint can be seen all over Disney’s historical timeline. Her flair for boldly colored concept paintings helped get her hired by Walt Disney Studios in 1940. She helped introduce a modernist style to Walt Disney Studios and throughout her tenure, her work can be seen in both Disney animated features and Disney Parks. Her concept art and color styling is evident in the features of the 1940s and 1950s such as Saludos Amigos (1942), Peter Pan (1953) and Alice in Wonderland (1951). One of the biggest impacts Mary Blair made on Disney history is her work with the attraction It’s a Small World. In 1964, she was commissioned by Walt Disney to aid in the designing of the new attraction, set to debut at the New York World’s Fair. Blair was responsible for the attraction’s design and color styling. Her use of color was something that was never seen before. Mary Blair went on to put her artistic stamp on many more exhibits, attractions and murals at the theme parks in California and Florida. 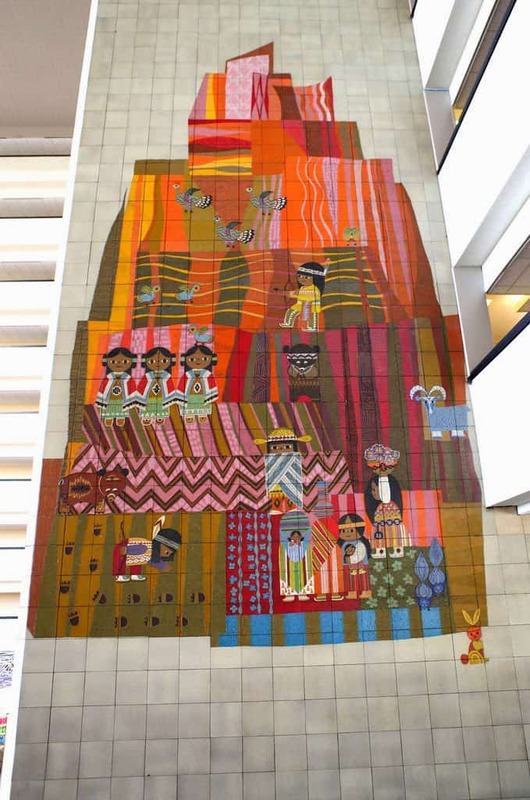 The most notable mural exists to this day in the lobby of Disney’s Contemporary Resort’s Grand Canyon Concourse. It features stylized birds, animals, flowers and American Indian children. The mural is made from 1,800 hand-painted tiles 1 foot square tiles and stands 90 feet tall. The mural alone took 18 months to construct. Yale was inducted as a Disney Legend in 1999, 16 years after his death. He was born in Shanghai in 1910 and eventually moved to the United States where he studied at the Art Center School of Design in Los Angeles before landing a job at Walt Disney Studios as a layout artist. He worked on Animated Features Pinnochio and Fantasia, as well as many animated shorts. In his free time, Yale loved to tinker with things and create illusions, something he had been fascinated with since he was a young boy. Walt Disney discovered Yale’s hobby and encouraged him to do more of it. That is how Yale started working for WED Enterprises, where he worked on creating many special effects for the attractions we’ve come to know and love. Of all his work, the attraction that stands out to me is The Haunted Mansion. 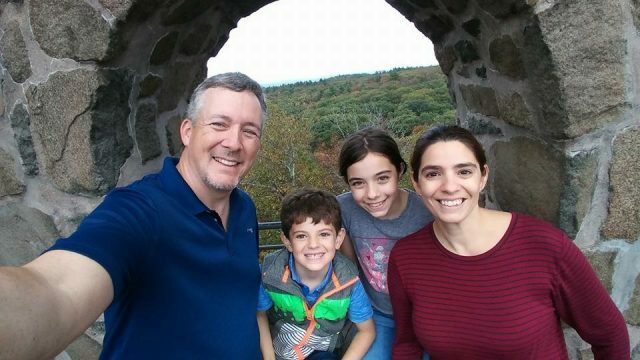 Yale Gracey’s imagination is the source for all the special effects that bring to life our favorite spooks and haunts. Singing busts, ghosts in the attic, Madame Leota, and the famous Ballroom Scene are all due to Yale Gracey. In fact, the effects we know and love today are only a fraction of the things that Yale Gracey conjured up for the attraction. Walt initially wanted his guests to walk through the attraction, which would have allowed for more elaborate effects. In the end, all the effects were shortened so that they could endlessly loop for the guests as they rode through. Thank you for joining me today. Your next stop on the Magical Blogorail Loop is Rolling with the Magic. I just read the book about the Haunted Mansion and reviewed it on my blog the other week. Mr. Gracey, along with many other Disney legends, had such fabulous ideas for the mansion. I think the final attraction is awesome! Unlike any other haunted house I've ever seen! Mary Blair's work is amazing! I love the mural at the Contemporary, but I especially love It's a Small World! It's a favorite of mine! You picked two of my favorite legends! I adore Mary Blair's work and the Haunted Mansion has always been my favorite attraction. Thanks for choosing such a fun topic! These two legends shaped the look of Disney for sure! I'm always fascinated by the concepts behind the attractions and movies. Two great Disney legends! I love Mary Blair's style of art and use of color! And of course I love Yale Gracey's work on the Haunted Mansion! Two of my favorites! Every year my students do a unit on Imagineering and Theme Park Design, and they each have to research an Imagineer and do a presentation. Mary Blair and Yale Gracey are always top of the list (along with Marc Davis, Alice Davis and Bob Gurr). I'm currently working on my third scenic design using Mary's work as inspiration. This is awesome. I knew about Blair, but had no idea who "Master Gracey" was! I love learning more of the history behind Disney parks. I need to do more research myself! 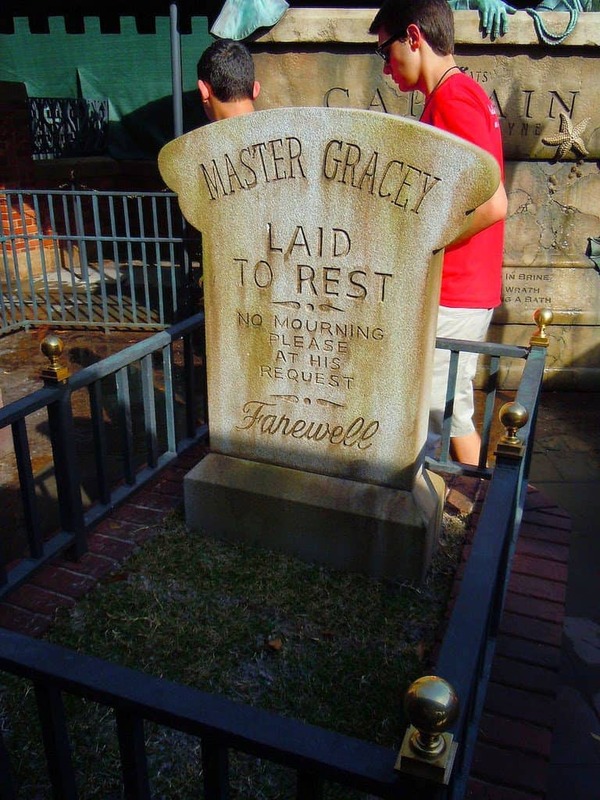 I never knew the role Master Gracey played in the creations of the Haunted Mansion. Awesome!